We use the best servers on the market. Currently we have shared, dedicated and cloud servers in our data centers. 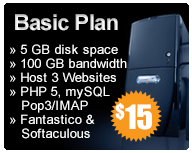 That One Hosting strives to meet your needs. If you see a hosting feature you’d like and we don’t offer it let us know we’ll check it out and see if we can make it happen. 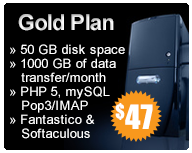 Cloud Servers are the popular service right now. This allows us to expand quickly to meet your needs and is more reliable.